I hope everyone is enjoying their summer. I feel it is going by so fast. 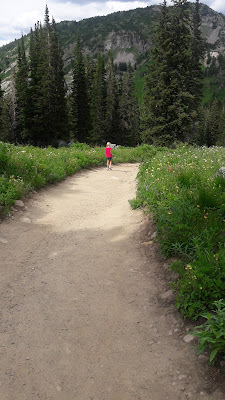 July is half over and before we know it the kids will be heading back to school. 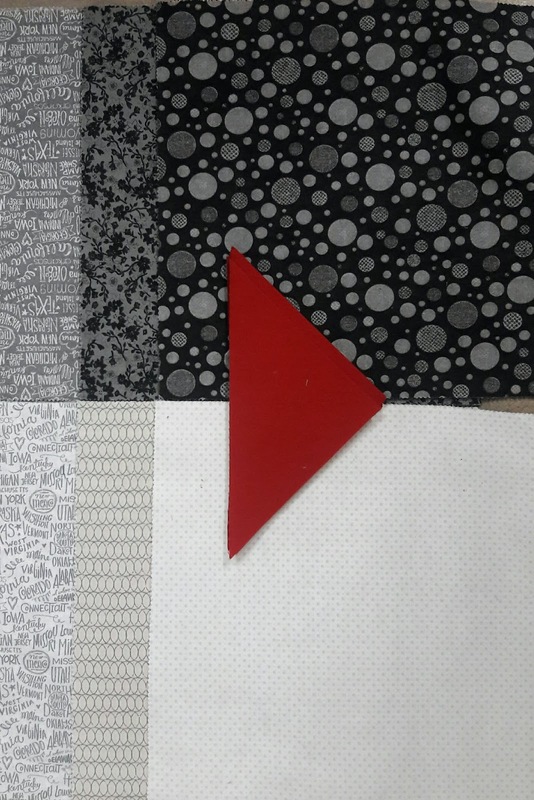 I'm finding less time in my sewing room and even less time to blog. I did find little moments here and there to make a home for my little flock of black sheep. I had heard this saying a few years ago and thought it would be a fun quilt. It makes me smile anyway. We have a cute little Chinese exchange student staying with us this summer. Friday she made a yummy dinner for us. We started by going to the Asian market. So many fun and new things to see. Then she spent the afternoon cooking. She is just 13 and look at the great spread she made for us. 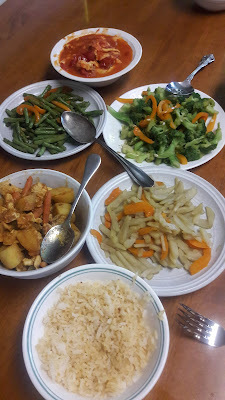 Starting at the top and going clockwise: Scrabbled eggs with tomatoes, broccoli, potatoes and peppers, rice, sour yellow curry, and long beans. 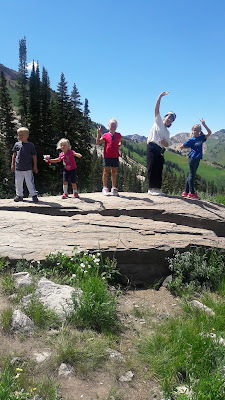 We've gone hiking in the mountains and visited Bear Lake for a family reunion. Been to Temple Square, Boondocks, Wheeler Farm and the University of Utah. Lots of great adventures! Looking forward to another fun week with her. Now it's your turn. What have you been moving forward? Link up and let us see your progress. I am in LOVE with your tie dyed sheep. What a fun top! Sounds like you are having an adventurous summer. Lots of fun. OH, what a darling sheep quilt!! Love it...have a wonderful time on your adventure! I recall that saying. What a cute quilt you made based on it. Congratulations. I love, love. love your sheep quilt! Your sheep quilt is so CUTE!!! Loving your sheep quilt! Quite clever, not to mention imaginative. I love your letters and love them every time I see them on other quilts, but I don’t enjoy making them. I find improv to be difficult. Enjoy your day! Looks like you’ve been having a wonderful summer! That sheep quilt is so fun! I'm sure there will be some arguments over who gets it. Ten years ago we had an exchange student from Germany stay with us for almost a year. She became a part of our family and has been back to visit many times. She's getting married now and we're invited to the wedding next month and we're going! I just need to sew up a quilt for her mom and a set of placemats for the bride. 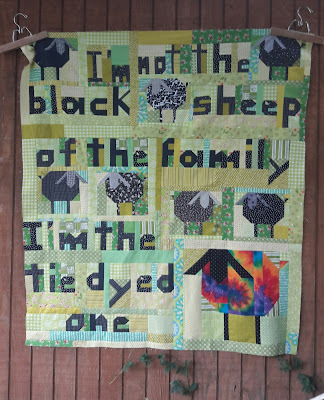 I LOVE the sheep quilt. That is just darling. Your sheep quilt is so cute! I like the sentiment behind the quote. Your guest made some delicious food! I know I couldn't cook that young!